I am very curious when trying a special kind of beverages. Even though I am not a big fan of any drink rather than natural, I would like to at least attempt once in order for me to have stances to share when I would recommend a good healthy drink to a family or friend. I don’t say I will never do drink any, but moderation is what I am trying to pertain. 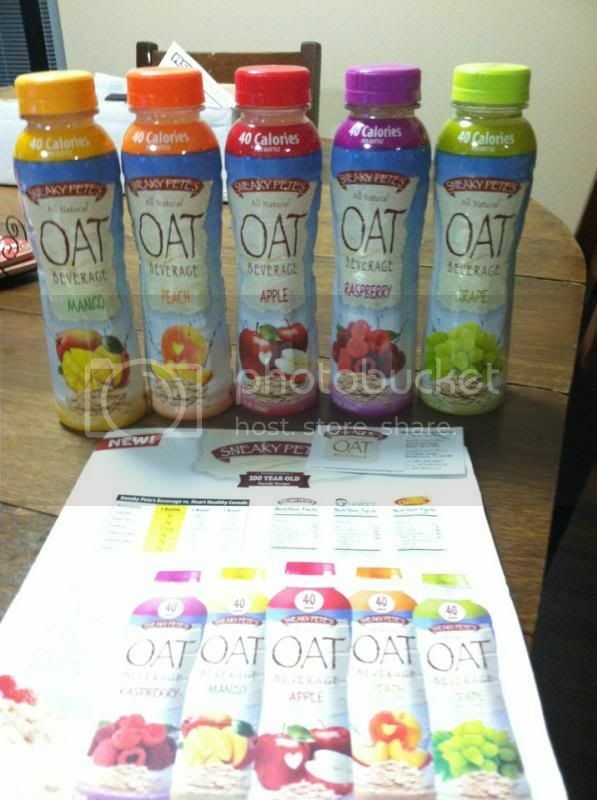 I am ecstatic when Sneaky Pete’s ALL Natural OAT Beverage has given me the chance to obtain a sample for an evaluation. I have to tell you that I am not a big fan of OATs at all; the texture isn’t just what is comfortable for me. So this makes me triggered to ask for the company’s trial. It’s nice to know the diverse healthy mode to give your body the right vitamins and minerals. Another good method of introducing them to your next generation and by simply eating or drinking the good healthy food gives you a healthier body to prevent from getting sick. Each bottle contains: Oat Fiber, All natural ingredients which means NO Artificial Color and Flavor, a heart healthy, only has 40 calories which I find good for those who watch their calorie intake. I have received the RASPBERRY, MANGO, APPLE, PEACH and GRAPE beverage flavor. Of course, I choose one of my favorites which is MANGO. And I must say I’m overwhelmed about how it tasted like. Very flavor and taste, I can taste more about the mango flavor as well. I will enjoy this kind of drink, and I knew what I’m drinking contains all the nutrition I need for a day. Oh! The packaging is perfect, very slim and an eye catching. 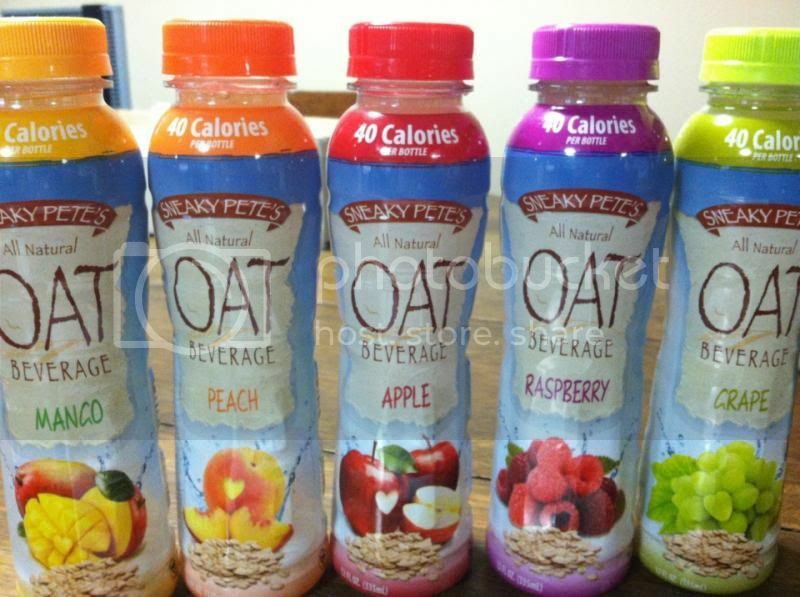 For those who want to buy nutritional drinks, you should try Sneaky Pete’s OAT Beverage for a change. They offer a 15% discount when you buy online, just type SNEAKYBLOGGER code at the checkout with free shipping. Please visit the website at www.sneakypetesbeverage.com or follow them on Facebook and Twitter and be the first to know about what’s new to the company. I'd be interested in trying the raspberry one. I love oats but would never have expected it as a drink, the apple would be my first choice. I would love this, I drink a homemade shake with oats in it every day. Of course I love oatmeal or oat anything! I am not an oat person but would be curious is it thick? This sounds pretty good to me. I think my son and I might have to try this. I would like to try the Mango and my son loves Peach (anything). Oh I love those, I wish I could get more lol. I look for it in the store here but they don't have it. It's interesting name of a brand. I love Oats and does it have that texture in its drink too? Love the fruit varieties of this drink. I am not a fan of oats but this would be a good one to try, this will be perfect for hubby since he loves to eat oats. Thank's for the code. I want to try the Mango and the Grape!